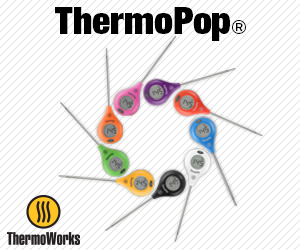 The Toast Test is a great way to visualize any hot spots on your gas grill’s cooking surface. I’ve known for some time that my 2002 Weber Summit 450 4-burner gas grill has some hot spots…I grill a bunch of burgers and some seem to cook faster than others. In fact, I may end up overcooking a few burgers in the process. You’d think I would know the quirks of my grill, having cooked on it for almost 15 years, but I keep making the same mistakes over and over again. I saw the toast test performed on an episode of America’s Test Kitchen and I tried it on my Weber Summit. 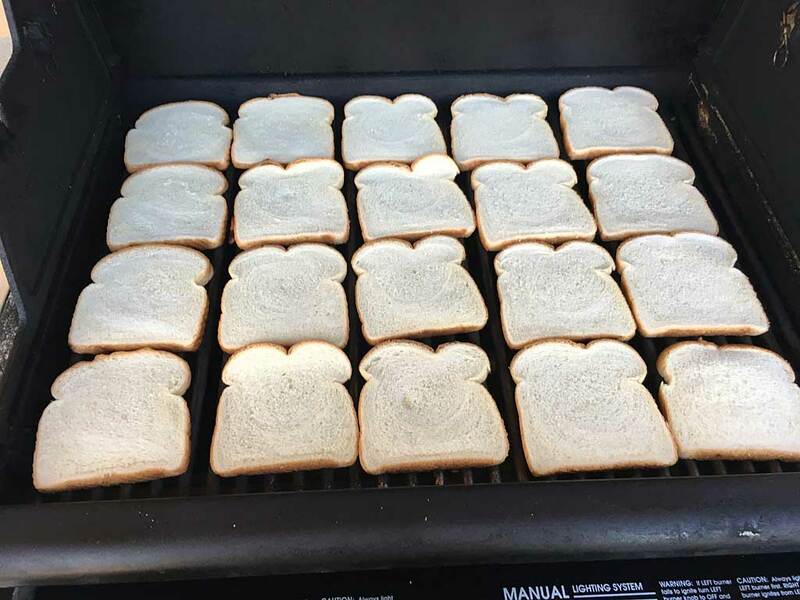 You’ll need 1 large loaf of inexpensive white sandwich bread for a 3-4 burner grill, or 1-1/2 loaves for a 6-burner grill. Nothing fancy here…this bread was just 89¢ per loaf. Discard the two end slices, as their concave shape prevents them from laying flat on the grate. Preheat the grill with all burners on MEDIUM heat for 15 minutes. When the grill is hot, cover the grate surface with slices and allow them to toast for 60-90 seconds before checking the first piece you placed on the grate for doneness. 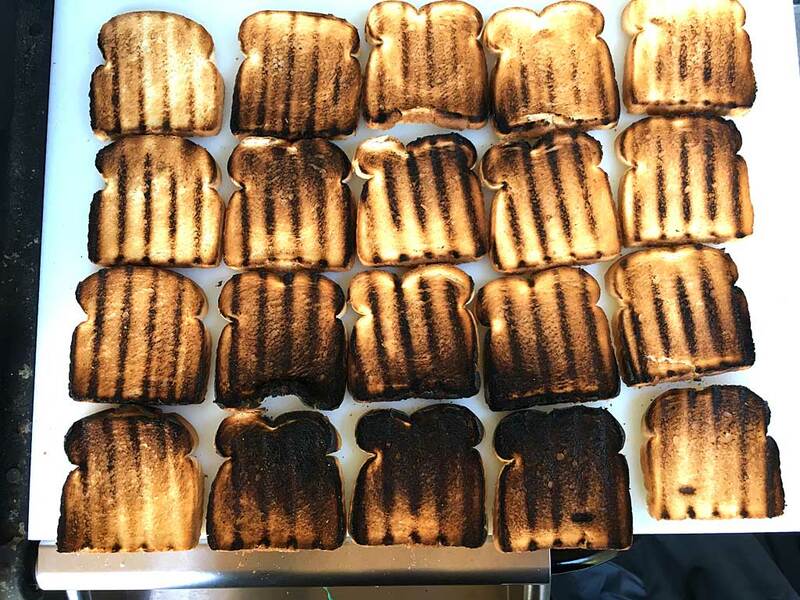 Depending on your grill, it may take 1-3 minutes for the slices to toast. 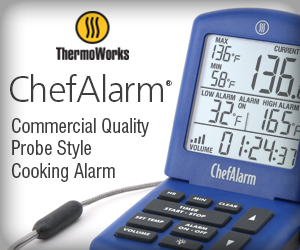 You can close the lid if you want, but don’t do it for long, and don’t walk away from the grill…the test goes very quickly! Use tongs to quickly flip the slices on the grate in the same order you originally placed them, or move the slices to a large cutting board. Turn off the grill and take a photo to document the results. 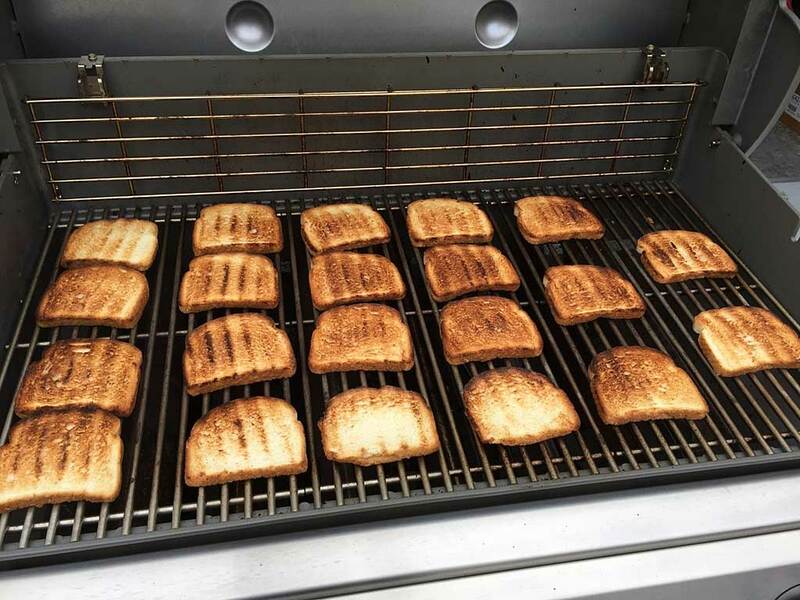 As you can see from my toast test, the Summit 450 has a very pronounced hot spot about 3 slices wide and 1-1/2 slices deep in the front center of the grill. I need to keep this image in mind when grilling…I can avoid placing foods in this zone to prevent overcooking, or I can move foods into this zone to speed-up cooking. Martin’s got a new 2017 Weber Genesis II SE-410 4-burner gas grill* with the latest GS4 High Performance burner system. The GS4 burners are tapered—slightly wider at the front of the grill, slightly narrower at the back of the grill. This feature, along with a series of heat deflectors in the bottom of the grill, results in more even heat distribution across the entire grill surface. 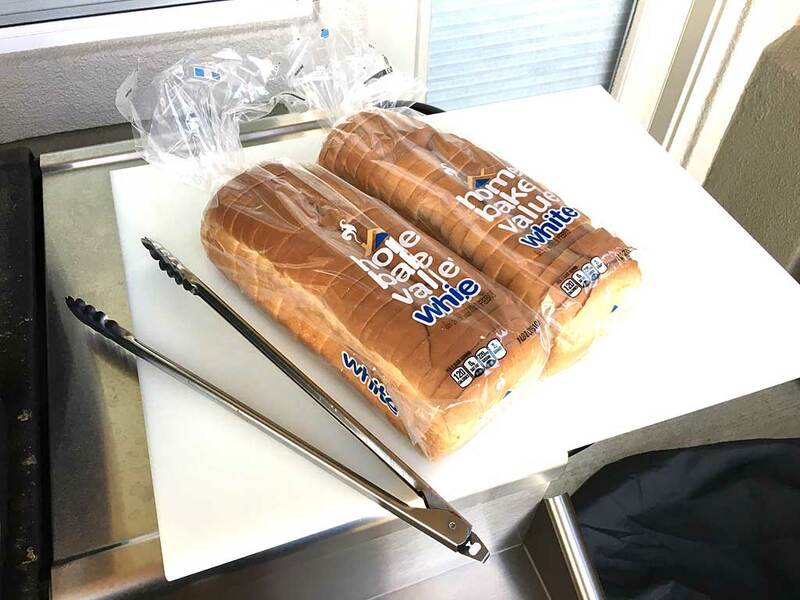 Martin says of his toast test, “I should’ve purchased the big loaf, as you’ll see that I’m using the loaf ends as well, and since they’re concave, they didn’t have direct contact with the grill, hence the lack of color on those (two) pieces” in the front center of the grill. * The Genesis II SE-410 is a special edition of the E-410 grill with stainless steel cooking grates and Flavorizer bars and is sold exclusively at specialty dealers including Ace Hardware.